We are pleased to invite you to be a part of our family “Colors of the Heart” charity event. Arjarn Amrit Chusuwan & Graffiti Group Faculty of painting sculpture and graphic art. Silpakorn university. This event promises to be a fun-filled day for both kids and adults! A full day of play booths, live music performances, charity auction, and plenty of food & drinks! 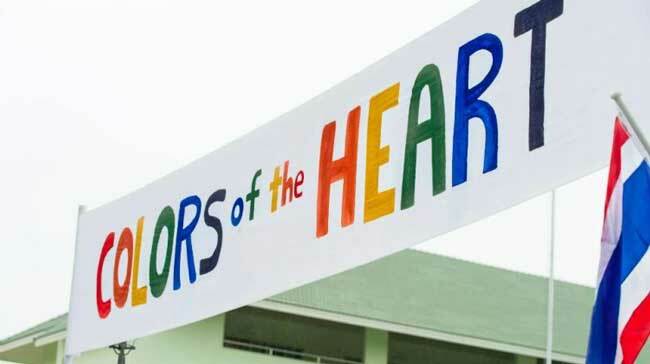 “Colors of the Heart” is a charity art project that brings together a group of Bangkok-based artists to fill the remaining blank walls of Camillian Home with vivid and imaginative murals that will leave a lasting impression on the kids of Camillian Home. เวลา ๐๙.๐๐ น. – ๑๕.๐๐น.